The campus' classrooms, dorms and other buildings will be made in barrel-like shapes, which will cross and connect with one another, while still maintaining their autonomy. A new primary school in China will be built by robots. 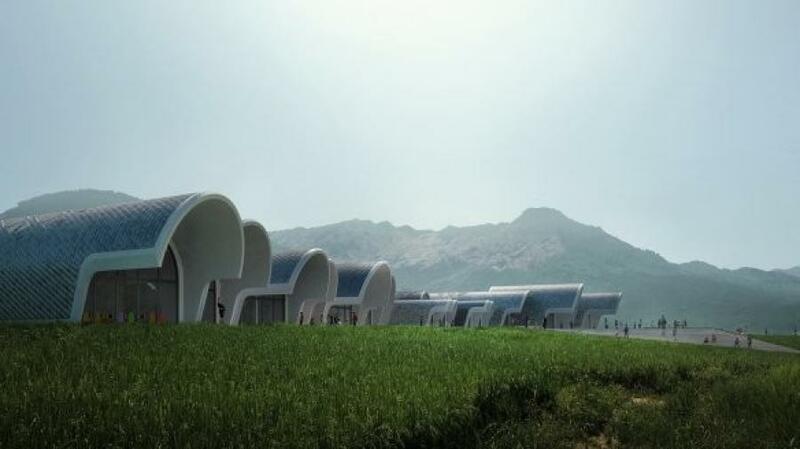 Zaha Hadid Architects designed the Jiangxi Province school that will be made up of structures with barrel and parabolic vaults, Curbed reported. In an effort to cut down on construction time, project costs and the pieces that would need to be brought to the site, the firm suggested combining in-situ concrete production with automated hot-wire cut formwork made of foam, built by robots, Curbed reported. Reusable molds would lead to an increase in production while still keeping costs down. The campus' classrooms, dorms and other buildings will be made in barrel-like shapes, which will cross and connect with one another, while still maintaining their autonomy. The vaults will open up toward a nearby river offering views of the natural surrounding elements.